I recently purchased a small collection of MSX cartridges on eBay. One cartridge was DMS-1 for the CX5M. 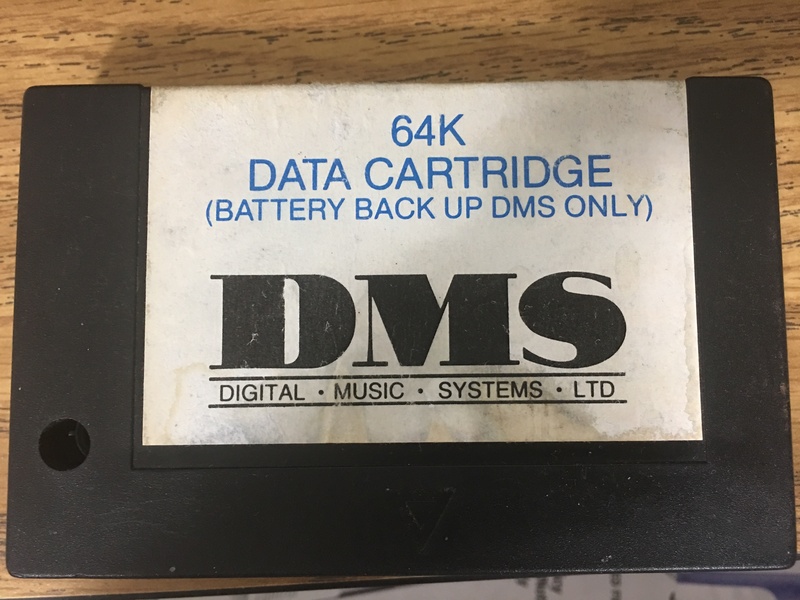 Another cartridge, for which I'm trying to find out more about, is simply marked as "64K Data Cartridge (Battery Back Up DMS Only)", and has the DMS (Digital Music Systems LTD) logo on it. On the back, there is a copyright date of 1986. This cartridge arrived in very poor condition. The battery inside had vented long ago, and the contacts were all "Statue of Liberty" green. Today, I let the cartridge contacts soak in vinegar for a few hours, and have them back to proper conductivity. I put this and the DMS-1 cartridge in my CX5M (which has an SFG-01), powered it up, and tried to see if it saw this cartridge. Interestingly enough, it seems as if DMS-1 only supports cassette or disk. Also interestingly enough, the DMS-1 manual makes no mention of this cartridge. I'm stumped. Either something is wrong with this cartridge, or it isn't supported by the version of DMS-1 that the seller had. There's not much I can say about this cartridge than it's not a Yamaha product. There's little info about DMS, not so much about the cartridge, but it might give you a lead. That the cartridge is not mentioned here pretty much means it's rare. There is a post on the forum of the author of the DMS software, somewhere. Maybe he can help? Nice to see those pictures! Would be nice to get that backup memory emulated maybe. I know Yamaha sold 4K SRAM cartridges for use with the CX5M (Yamaha UDC-01, same as Sony HBI-55), but this seems to be something else especially for DMS. Do you have pictures of DMS-1 too? I had a fear that I had found a rare cartridge. And after my initial post, I discovered that this cartridge is in worse shape than I first thought. I think whatever caused the battery to go also lifted traces going to the battery on both the positive and negative sides, as well as blew a 1kΩ resistor limiting current to the battery. Yup, I think the battery on this board might have been rechargeable. Beorn Designs seems like a small company, with a bit of luck, if you send them an email you may get some info on what this was. Hi @jdmcs, as you can appreciate, this is from a very long time ago, so I can only remember some parts of the info you are asking for. First of all I can confirm that the manufacturer we used to produce the DMS cartridges was Beorn Designs in Oxford. 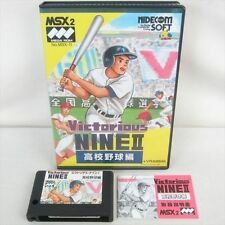 As you know, the Z80 processor has 16-bit addresses, and so has a maximum linear address space of 64 Kilobytes, which on MSX systems (if I recall correctly) was split into 32K for ROM and 32K for RAM. Of that 32K RAM about 16K was reserved for MSX and only 16K was available for use by the cartridge software. So, when I write the original DMS1, it was designed to run entirely within the 16K of RAM available to the cartridge software. But using the phrase-based approach, you could still get a reasonable number of songs and tracks into that 16KB. When the MSXII machines came out, they typically had about 128KB of memory, which of course could not be accessed using linear memory addressing, and so a banking scheme was used where a certain section of the linear address space provided a 'window' into a set of RAM banks, which were selected by a bank register. So when I wrote the second generation of DMS (DMSII), I added support for the MSX banking scheme. 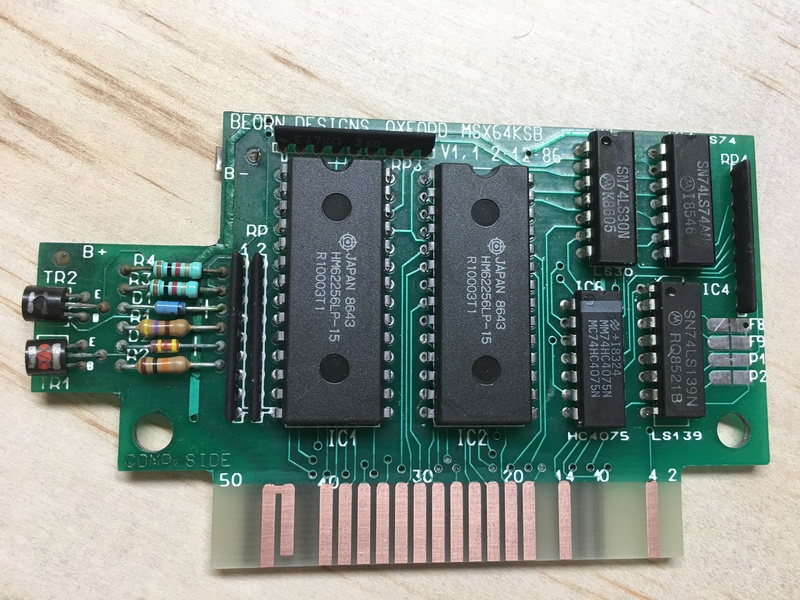 It was also decided at that time to produce our own memory cartridge which used its own banking scheme (not the same as MSX scheme). So the DMSII was written to support both the MSX and the DMS RAM banking schemes. It shouldn't be too difficult to trace through the code on DMSII and work out how the banking scheme works. Wow ! it is all coming back to me. ... another walk down memory lane. The effort that went into that design. As you know, there are not many pixels in an MSX display, and I used the mouse cursor to display system state like record mode and phrase numbers for copy and paste. The "initialising RAM disk" message is when the system looks for all the banked memory and initialises the memory manager. Incidentally, the memory manager doesn't just handle the MSX paged memory, but also a separate Digital Music Systems memory banking scheme which my friend Simon Brattel (of Drak Star fame: http://torinak.com/qaop#!darkstar) came up with. 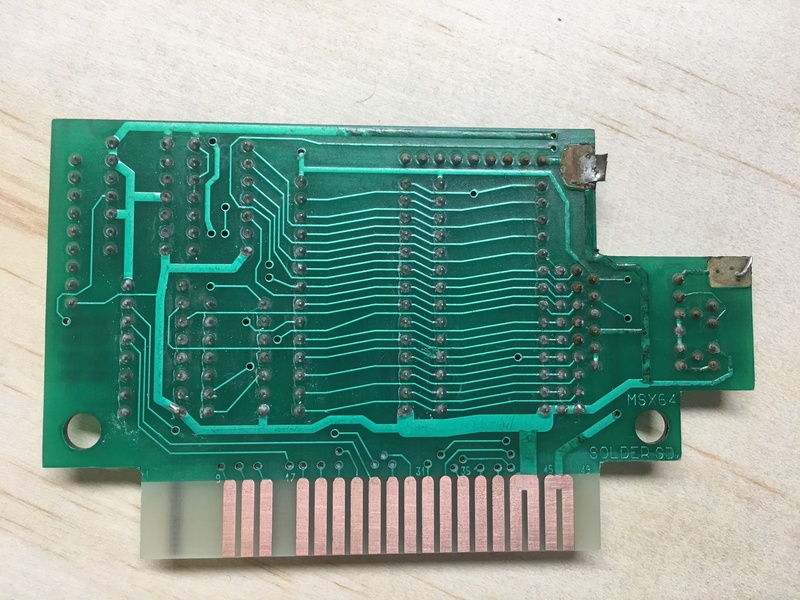 On a side note, it may be that the emulation crashing problems may be to do with my scans to see if the Digital Music Systems memory expansion catridge running Simon's memory banking design, is installed.